I got a surprise day off from work today! 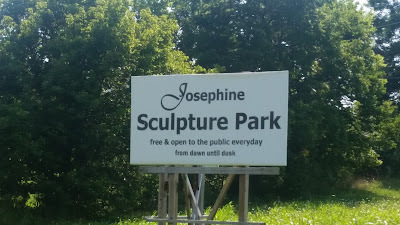 There were a few things I had in the back of my mind to do this weekend and one of those was to visit the Josephine Sculpture Park in Frankfort, KY. It is a short drive from my house and the day was a glorious day to get out and about. Now, you might be surprised as to the main reason I decided to go to this park. First, I had never really been before. Well, actually I had been once before when it first opened, but I never got out of the car. I just drove up and scoped it out. 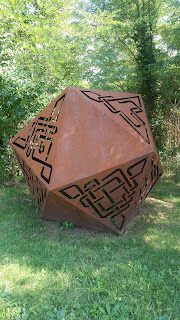 There were a few sculptures that I could see from my car, but it didn't look like much. I turned around and left. So now it's years later and the park and most all sculptures in the park are PokeStops! Yes, I have become part of THAT craze, lol. All I did was download the app so that I could see what it was all about. My grandson plays, so I thought it would be something we could chat about. Of course, I had to play the game for awhile so that I would know the ins and outs...and now I'm hooked! So here I was, on my way to collect Poke Balls at the Sculpture Park at the ripe old age of 53. I figured that I could get some steps in for the day, since I wouldn't be working and also catch some rays, since I look like a ghost. Pulling into the parking lot, I realized things had changed since my last visit. Lots of small sculptures were scattered around the visitors center, along with tables and chairs for resting and chatting with friends. 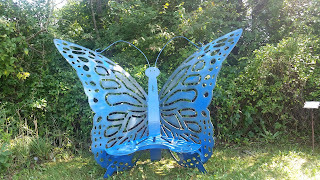 I soon found myself meandering along cut pathways to a wide assortment of magnificent sculptures that dotted the park. There were metallic giants, concrete fixtures, interactive benches, meaningful contributions and more. I got in close to 4,000 steps on my Fitbit, collected about 75 Poke Balls and various other Poke items, saw a rabbit and some butterflies, took lots of cool pics, overheated my phone, and found a great place to come and get away from the world for awhile. I call that a great day! 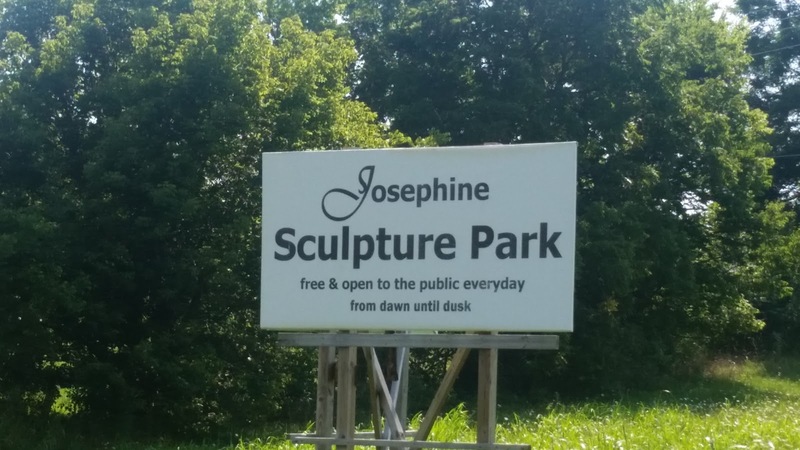 Please enjoy my video showcasing some of my favorite sculptures and don't hesitate to visit if you are ever passing through Frankfort, KY. It is just minutes from exit 53B on I-64. See ya there!